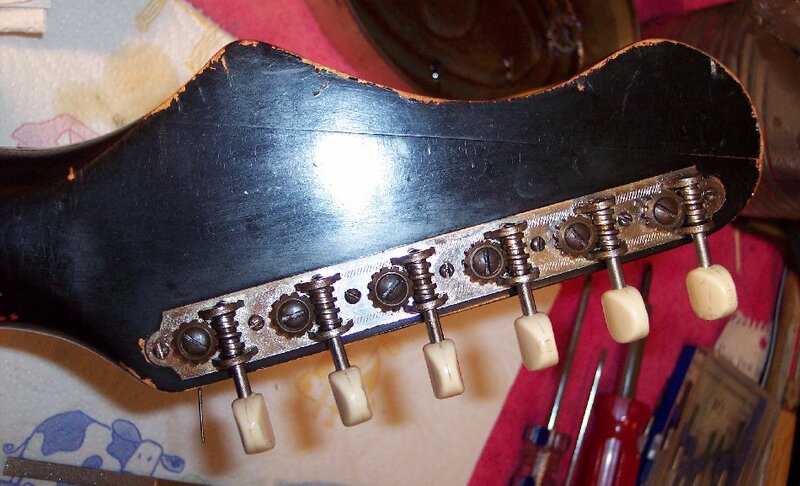 Refacing frets that doing so would benefit. The past owners / players of this guitar played almost entirely on frets nearer to the nut, which makes the job much easier. That aughta do it ! Lookin' good ! --- Slight scalloping between the first 4 frets will be planed in future steps. 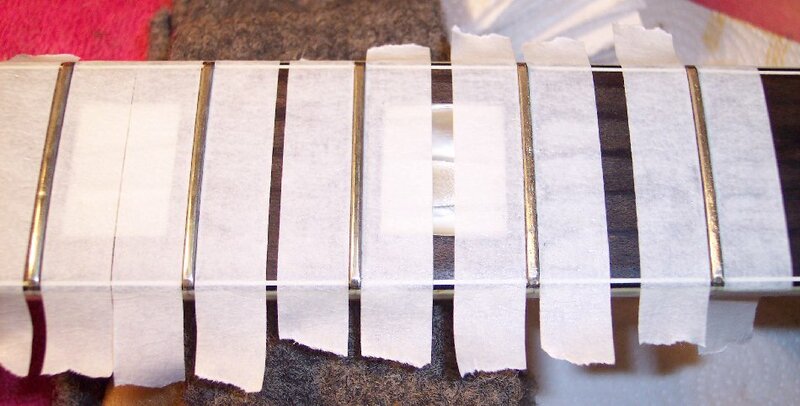 Lemon oil finishes the fretboard work, ...except that planing will be done once all "wet" work is done. Tuning machines were removed, cleaned up, straightened up, and reinstalled. 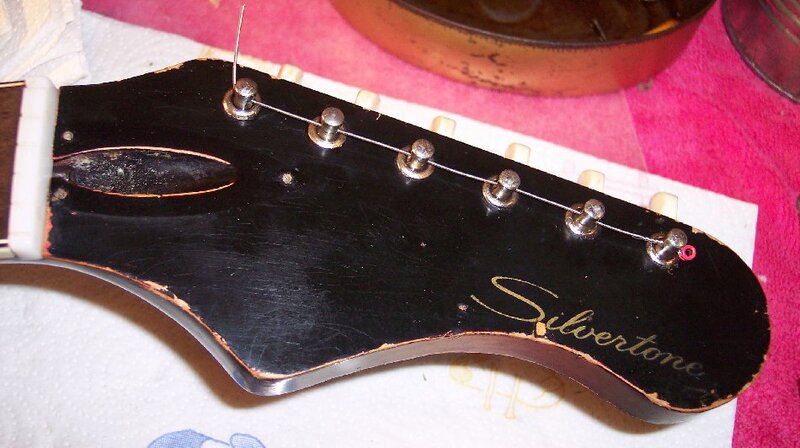 A length of heavier gauge string is run through the tuners to prevent any ferrules from falling out / off. 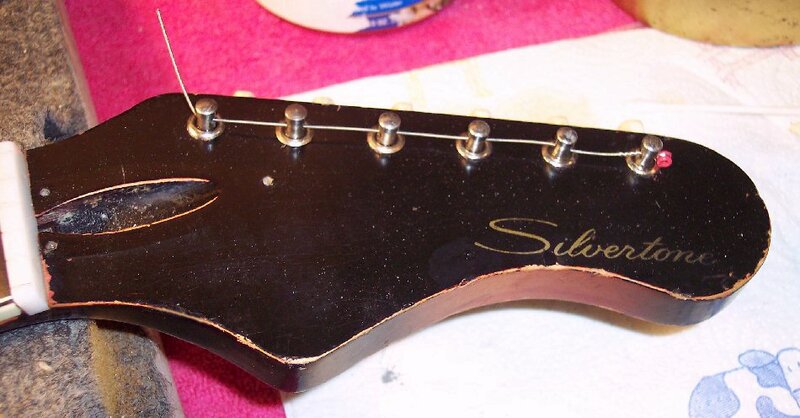 The bare spot under the "S" in Silvertone looks obtrusive to me, so I will touch it up with black paint and an artists brush, then satinize & naturalize the touchup.